Day one of the #OneThingFortnight 's theme is 'Picnic'. In September, in Scotland, it's not exactly picnic weather (though to be fair I don't hugely enjoy the idea of eating on grass outside no matter the weather!) but I decided to take the idea of portable, simple food and host an indoor picnic. With it being a picnic, I figured you need more than one option so I'm starting this whole project off with a two for one deal, one sweet and one savoury - both perfect picnic options, whether your picnic is in the park or in front of whatever anyone's watching now Game Of Thrones is finished! 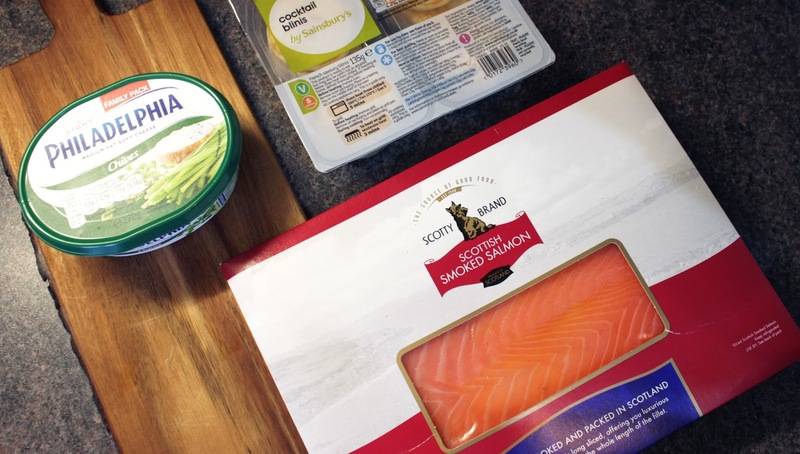 For the savoury option I decided to showcase one of my favourite Scottish foods - our wonderful salmon, this particular variety being smoked and available from Scotty Brand. All Scotty Brand foods are packed and produced in Scotland, they're environmentally aware and you can see profiles on each individual who supplies to Scotty Brand on their website. You can learn more about Scotty Brand as a company here. Scotty Brand have been kind enough to supply me with a few of their products for use throughout Scot Food Fort, but I reached out to them to ask if they'd like to get involved rather than them coming to me - so you can be assured that I highly rate their produce, hence why I chose to feature them! 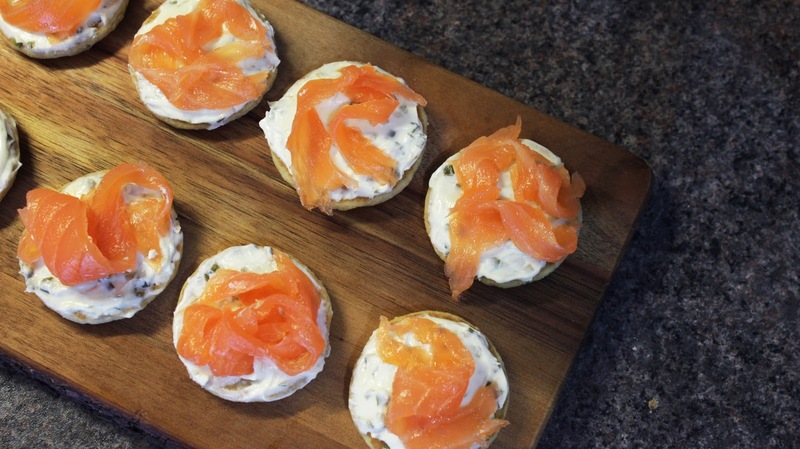 My favourite use of Smoked Salmon is technically with asparagus (Scotty Brand's asparagus is in season May-June) and scrambled eggs - but for a picnic I decided to do some eays-peasy smoked salmon blinis. 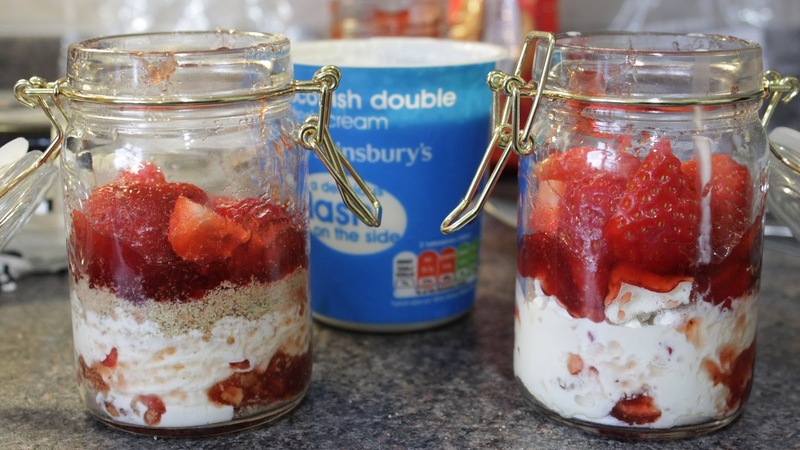 Since weather good enough for picnics usually comes with very short notice in Scotland I opted to save time and use the ready made version, but Jamie Oliver has a recipe here, if you're so inclined. 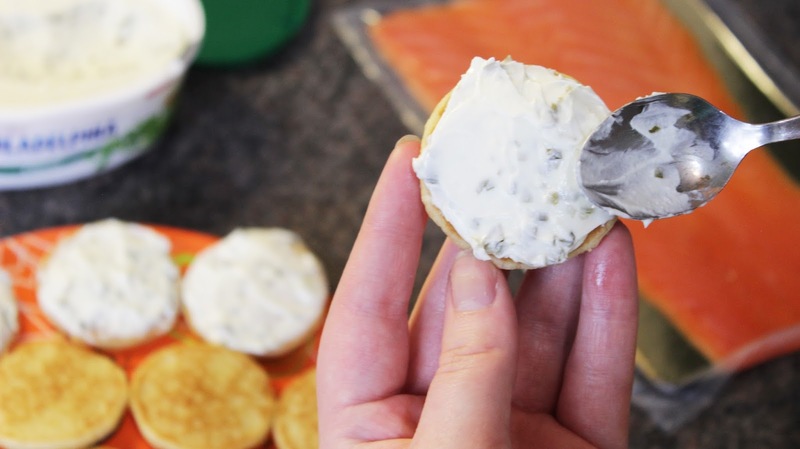 Simply spread the cream cheese with chives on your blinis (you can go for a little dot if you like, just so the salmon sticks, but I prefer to smother it on), then tear fine strips of smoked salmon and place on top - and that's it - smoked salmon blinis, ready to be packed up and taken on a picnic. 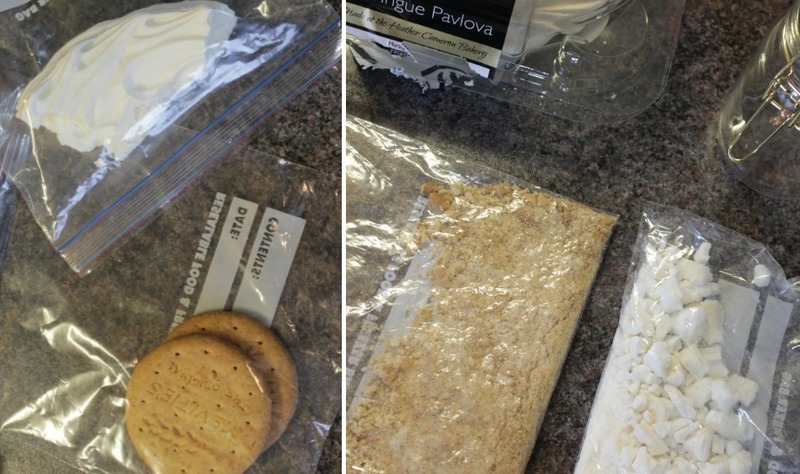 When creating these desserts it's all about the layers, so starting at the bottom you want to put either your meringue or your digestive biscuits into a sandwich bag and bash them up - you can see the extent I crushed mine to in this photo, but there are no real rules - it's down to what you prefer. You then want to spoon (or tip straight from the bag) your first layer of meringue or biscuit. 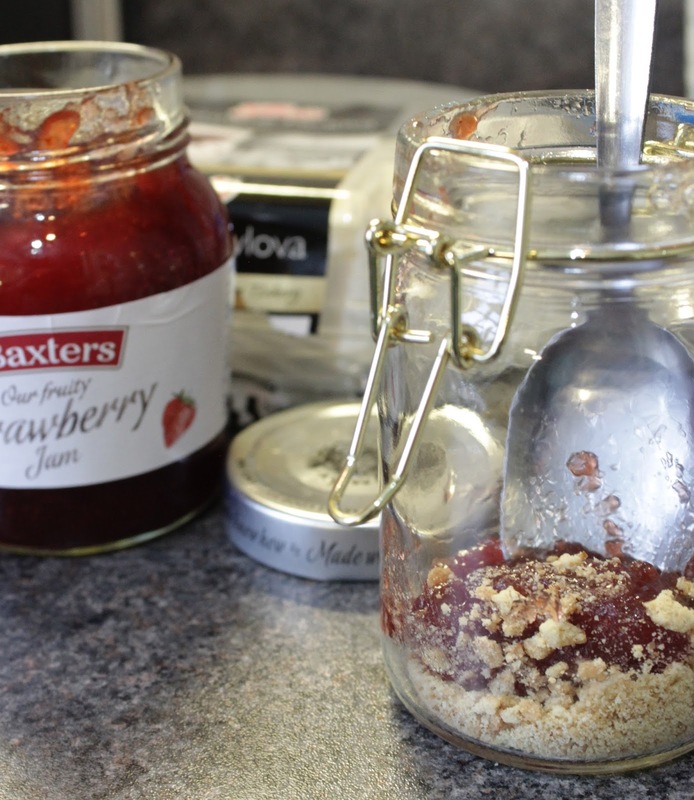 Following that you want to then layer in a tablespoon of strawberry jam - I used Baxter's since they're the official 'Purveyors of Scottish Specialities' to the Queen, and since I'm trying to make sure I'm promoting Scottish products that are easily accessible and available in most supermarkets in my blog posts, but don't forget about local farm shops and delis who often make their own jams, which are usually wonderful. After the jam layer it's time to pop in some of those beautiful Scotty Brand strawberries. Mark Greenaway says over on Eat Scottish that 'In the summer months, our berries grow slower, allowing them to develop a stronger flavour,' and that couldn't be more true when it comes to the Scotty Brand strawberries - these are absolutely beautiful and so sweet and flavoursome. 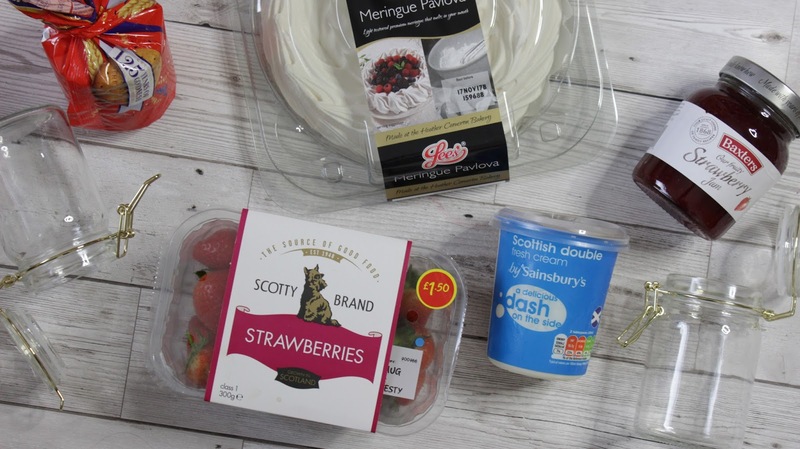 Later in #ScotFoodFort I'm also going to use Scotty Brand raspberries but I think they'll also be going off shelf around the same time as the strawberries, and potentially even earlier, and I highly advise that if you see them you grab them now! You can read more about the Bruces, the farmers who grow the Scotty Brand berries here. I quartered the strawberries I used so I could get them to lie a little flatter and squeeze more layers in, but you can prepare them however you like. 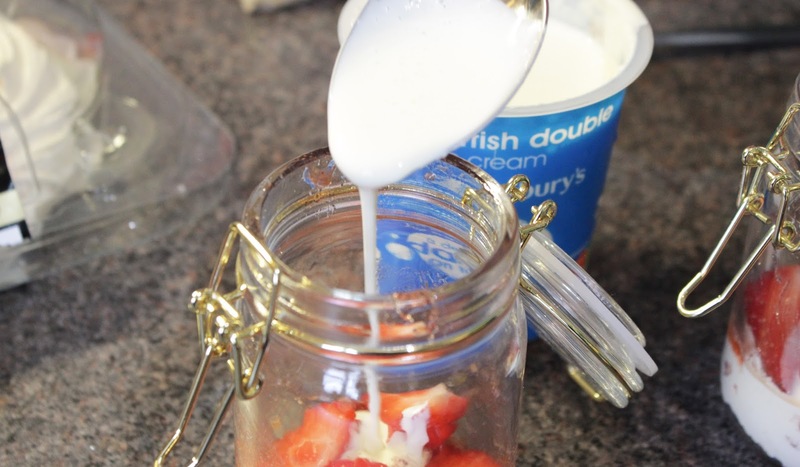 After your strawberries are in it's time to pour the cream over the top, I'd say I used about two-three tablespoons with each layer, you basically want to fill in round the strawberries and then lie flat to provide the start of the next layer. 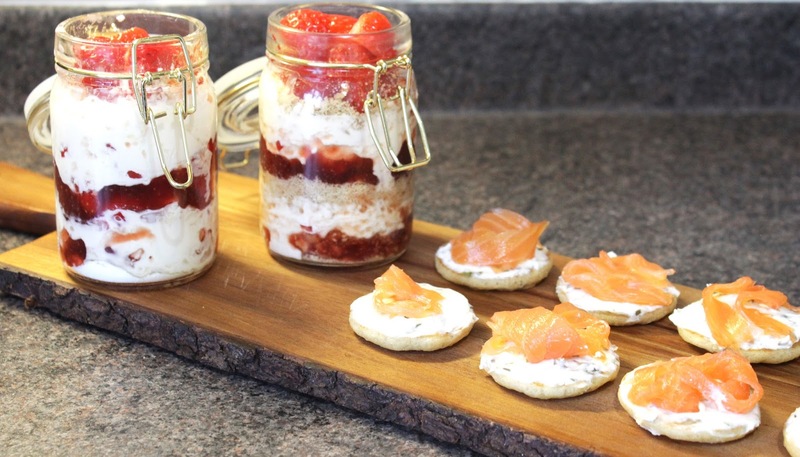 And there you have it - two simple and easy, no fuss picnic recipes that taste amazing thanks to some fantastic Scottish ingredients - let me know if you try them out! 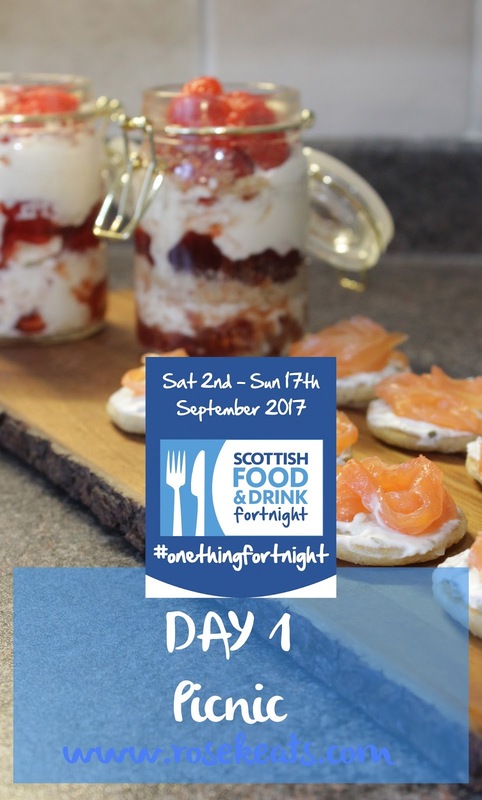 And if you're participating in Scot Food Fortnight please leave me your social links down below - whether you're instagram-ing or tweeting a picture of your food, or doing blog posts I want to see them!